As a seasoned marketer and former CEO of a multi-million dollar marketing agency, I’m a little embarrassed to say that I never really fully recognized the true value of personally talking with customers until just a few months ago. It’s not that I didn’t understand the importance of customer engagement and support—I did. But I never made it an ongoing part of my own day-to-day responsibilities as the former CEO of digital marketing agency Single Grain or as the VP of Marketing for When I Work, the SaaS startup that I work for now. I learned that we were focusing on the wrong value proposition. I learned that a big chunk of our customers are former Excel-users. During my experiment I also determined that over half of our new inbound trials in our “businesses that have under 20 employees or less” category are currently using Excel to schedule their teams. What I also learned was that a lot of these people felt overwhelmed going from scheduling their employees using Excel to scheduling using our app. It’s a big change for a lot of business owners who are used to doing everything the old fashioned way. I learned that we don’t spend enough time continuing to sell to or educate our users after they’ve actually converted. We created new feature-focused Facebook ads. 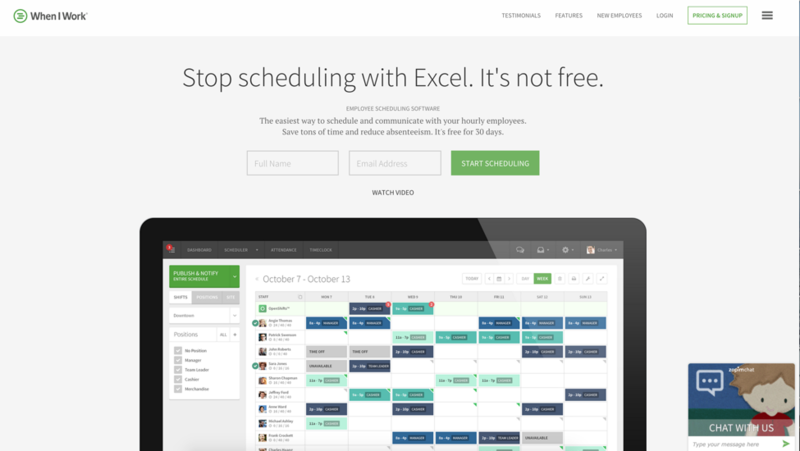 We ran homepage copy A/B tests that targeted Excel users. We created an entire implementation assistance team and put them in charge of uploading Excel schedules for trial users. The third thing I did was present a solution for the ‘moving from Excel’ challenge that a lot of our users face. To fix the problem and reduce friction, we ended up creating a small team of implementation assistance specialists whose sole job is to help trial users upload their existing Excel schedules into our app. 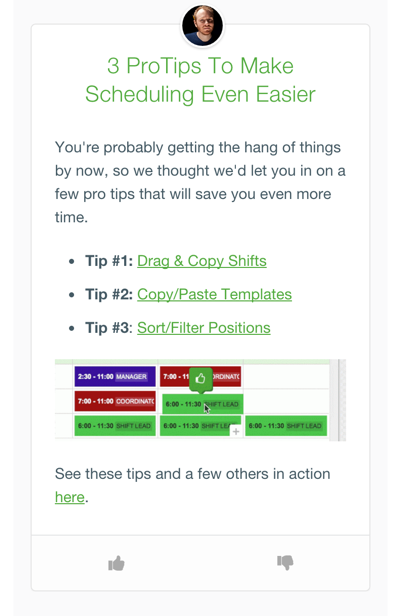 We made revisions our onboarding messages and marketing automation. Finally, as a result of my experiment we also decided to launch behavior-based messaging in the app using Intercom. It’s only been a few weeks since we started using the service, but we’ve already started to see a 15% increase in conversions (within the first month) and have been able to improve click-through rates in our email campaigns by 41 percent and reduce outbound emails by 70%. Taking the time to actually talk and listen to customers ended up being an incredibly valuable and rewarding experience for me. If you’re running a business or marketing department and you’re wondering how to take your business to the next level, I challenge you to do something similar to what I did. Spend a few hours, days, or weeks talking to your your customers and learning more about them. Authentically engage with them, be open to criticism and honesty, and use the feedback you get to make improvements to your products, your processes, and your business as a whole.